Our professional, humorous guide will help you discover Memphis. Explore what Memphis has to offer the world with us. 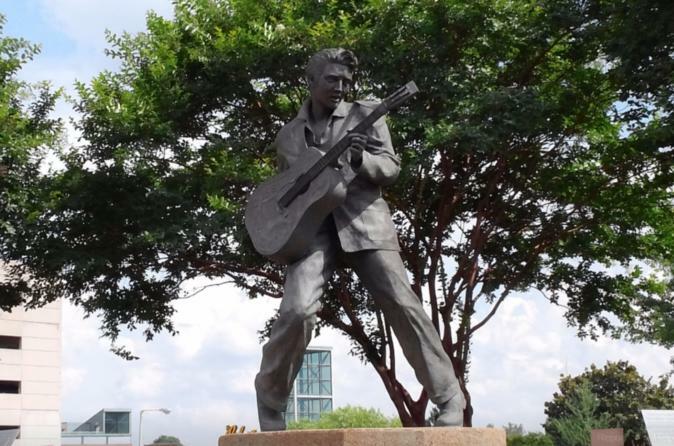 Discover our Musical and Historical City from the sounds of BB King, Elvis Presley, Johnny Cash to the 1800's Victorian built homes, Lorraine Hotel (to see where Dr. King was assassinated), Graceland where the KING lived and is buried. We have partnered with several attractions around Memphis; get on our bus to see all the highlights and have the time of your life. Explore Memphis with us! We will pick you up from your hotel and drop you back off after the tour is over. You will see the following places during your 2.5 hour excursion on our shuttle bus. We will do a drive by of Downtown Memphis and the "Mighty Mississippi River, Stroll down Beale Street hear some Blues, see Cotton Row, Victorian Village these are homes built in the early 1800's, check out the TWO KINGS, BB King and Elvis Presley at the I-40 Welcome Center, Lorraine Hotel (the site of Dr. King assassination), visit the garden at St. Jude Children Hospital, drive by Graceland (home of Elvis), stop and see the Famous Ducks at the Peabody Hotel, see Sun Studio, Bass Pro Shop and FedEx Forum (where our NBA team Memphis Grizzlies play). When you get done with this tour, you will be amazed about the History behind Memphis.